Built to Spill (left to right): Steve Gere, Doug Martsch and Jason Albertini. 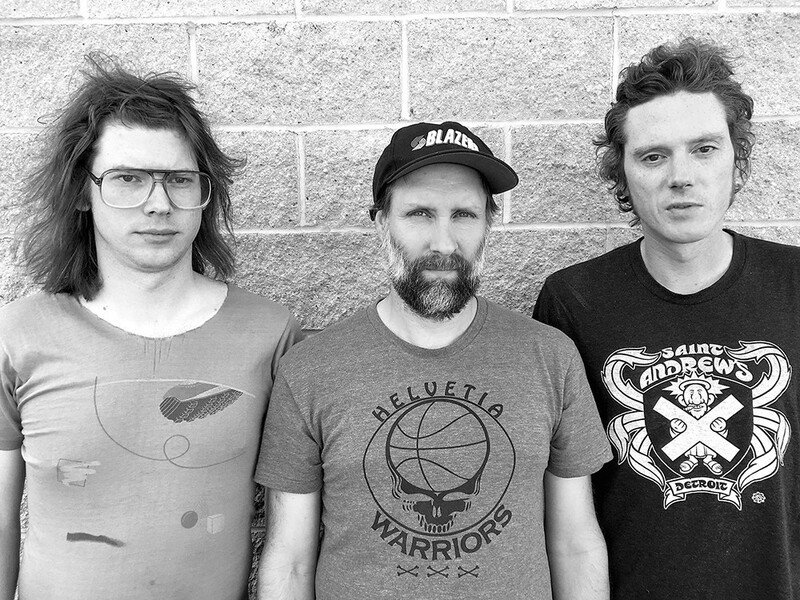 Over the course of Built to Spill's quarter-century touring the world from their home base in Boise, the indie-rock crew, led by singer/guitarist Doug Martsch, has played a lot of rock festivals. Large and small. Awesome and awful. As far away as Spain, and as close as the Treefort Music Festival right in their hometown. And while all festivals have something to offer, and Built to Spill still goes big — they're playing Riot Fest in Chicago this year alongside Nine Inch Nails and Wu-Tang Clan — Martsch has come to love the smaller regional festivals like Volume. "They definitely have more of a local feel and they feel more special, unique to the area," Martsch says. "There's more local bands playing them, and it's just cool seeing smaller bands. There's not that many big bands I get excited about seeing." Built to Spill has played pretty much every massive American fest — from Coachella to Sasquatch!, Austin City Limits to Lollapalooza — and the excitement that accompanied the festival scene when it migrated from Europe has been replaced by ever-more-corporate vibes and lineups that look the same at every stop. Martsch says the band has noticed the change as big festivals have grown more cookie-cutter, "even down to the food they serve." "It's kind of like people are just doing their job," Martsch says of bigger festivals' performers and staffers. "It's not very friendly." At the smaller events, Martsch says, "you get a broader audience, more like a fair or something, where people come out of the woodwork who wouldn't usually go to some big concert festival. People who just go out to see what it's all about and aren't such hard-core music fans. And that's always fun. They kind of do it because it's something going on in their town." As a Boise local, Martsch says watching Treefort blossom has been a treat; he compares the annual March festival to a "Christmas-type experience" because the Boise natives — from "every old jaded person" to "every young person" — are so excited when the festival rolls around. "It's magical. Everybody in town loves it, everyone I know," Martsch says. "It feels really good. It gets a little bigger each year." Headlining Volume, an event aspiring to have the same effect on Spokane music lovers, is cool, Martsch says, because the band gets to play a full show — and not in the middle of the afternoon, like they would at a big festival. And while his biggest memory of Spokane is seeing basketball star John Stockton's family at breakfast, Martsch just might gain some new ones watching other bands on the Volume bill, like he does at his hometown festival. "The small bands and the local bands, my experience is they really raise their game," Martsch says. "They practice their asses off and they're playing for a big crowd, so even bands I see all the time, all of the sudden they have a super-killer show." Built to Spill plays the Steam Plant Outdoor Stage on Sat, June 3 at 8:30 pm, after sets by Chastity Belt, Blossom featuring Myke Bogan, Super Sparkle and Motopony. • Macy Gray, "I Try"
• The Smiths, "How Soon Is Now?" • Ozzy Osbourne, "Mr Crowley"
• Blue Öyster Cult, "(Don't Fear) the Reaper"
• Neil Young, "Cortez the Killer"
• Creedence Clearwater Revival, "Effigy"
• New Order, "Age of Consent"
• The Clash, "Train in Vain"